General Assembly panel to resume hearings on Quinn NRI scandal. The Legislative Audit Commission (LAC) will be holding hearings on Wednesday, October 8 and Thursday, October 9 in Chicago. The panel will continue its inquiries into the scandal-ridden “Neighborhood Recovery Initiative” (NRI), a $54.5 million taxpayer-funded program. Revelations since the program’s operation in 2010 indicate that money officially allocated to violence-reduction initiatives in challenged neighborhoods may actually have been expended as political walking-around money. The physical focus of the NRI program was on urban neighborhoods in the city of Chicago. The NRI program peaked during the weeks just before and after the November 2010 gubernatorial election, in which Pat Quinn won election to a full term by a margin of less than 1 percent of the statewide electorate. The most recent Audit Commission hearing on the NRI scandal was partially pre-empted by a request from the U.S. Attorney for the Central District of Illinois that witnesses not be made to answer sensitive questions in public prior to the U.S. Attorney completing some preliminary investigative work. It is believed that this request was made in conjunction with an ongoing criminal inquiry into the same scandal. The top federal prosecutor in central Illinois has now withdrawn this request, thereby authorizing key subpoenaed witnesses to be questioned. Commission co-chairman Sen. Jason Barickman anticipates that the roll of witnesses to be called before the commission for testimony will include former Quinn chief of staff Jack Lavin. A Chicago Tribune article on this developing story, published on Monday, September 29, can be found here. NFL Draft moves to Chicago; McAuliffe pushed league to make move. In a move spurred by House Republican Rep. Michael McAuliffe, Illinois won the competition to host future operations of the NFL Player Selection Meeting, commonly known as the “NFL Draft.” This is the highly-anticipated annual event in which, over a three-day period, rights to the nation’s top college football players are allocated to the nation’s 32 NFL football franchises. The National Football League released news of the move on Thursday, October 2. Chicago’s McAuliffe fought for the NFL Draft, working with colleagues and friends to build ties to interested parties and raise the profile of this potential asset to Illinois. He filed HR 1096 in May 2014 to urge the Player Selection Meeting to come to Chicago. The 2015 version of the NFL Draft, which will be held from April 30 through May 2, 2015, is expected to be broadcast on nationwide prime-time television. The comparable 2014 Draft was seen by 45.7 million people on ESPN, ESPN2, and the NFL Network. Members of a live audience will be authorized to attend the draft in person at Michigan Avenue’s Auditorium Theatre, and a fan festival will be held in adjacent areas of Chicago’s Congress Plaza and Grant Park. An NFL report on the 2014 Draft, held in New York’s Radio City Music Hall, can be found here. Illinois appellate court reaffirms ruling friendly to State workers. The decision backs up a verdict reached by an Illinois district court in the case of “State of Illinois v. AFSCME.” The Chicago-based First District Appellate Court’s decision was handed down on Tuesday, September 30. The case involved an attempt by the Quinn administration to reduce State cash outflow during two of the worst years of the 2008-14 economic downturn. A collective bargaining agreement signed by the State with its principal labor union, AFSCME, had “locked in” a four-year schedule of pay raises, ranging from 1.25% to 6% during each twelve-month period, for several broad categories of State workers. From mid-2011 to mid-2013, however, Gov. Quinn unilaterally rescinded several of these scheduled raises, took steps to terminate the contractual collective bargaining agreement, and partially froze the paychecks of the workers in these categories. AFSCME sued the State, pleading improper termination by Gov. Quinn and the State of Illinois of the labor contract, and won a judgment. Based on this judgment, AFSCME and its workers asserted that they were due $112 million in outstanding back pay. The judgment has not yet led, however, to complete recompense for the affected Illinois state workers. The administration appealed the verdict, leading to this week’s appellate court decision. At the same time, the General Assembly has taken steps to begin to make good the judgment. In the FY15 budget, $50 million was appropriated to start paying the cost of the verdict, and this money, reflecting approximately 45% of the total judgment, has been paid out. Thousands of affected workers are still waiting for more than 50 cents of every dollar promised to them by the verdict. The State of Illinois has thus far lost this case in three different venues: before an independent arbitrator, before a circuit court (which delivered a verdict backing up the arbitration decision), and before an appellate court this week. The appellants could further appeal this case to the Illinois Supreme Court. Attorney General Lisa Madigan and her senior staff are reported to be weighing the State’s legal options. The current status of the case is summarized by the Associated Press here. Illinois labeled “49th of 50” in new business ranking. The report from the Chicago-based American Economic Development Institute, a nonpartisan think tank, rated Illinois and California as the worst of the 50 states in which to do business. The Institute ranked states by state education levels, taxes and regulations, and government incentives for businesses. The National Federation of Independent Business (NFIB) backed up and explained the low ranking. State NFIB director Kim Maisch pointed to Illinois’ January 2011 income tax increase, new regulatory burdens, and a threatened increase in mandated minimum-wage rates. A news story on the ranking, published on Friday, September 26, can be found here. Baxalta chooses Cambridge, Mass. location for research and development center. Baxalta has leveraged its existing market share in high-margin drugs for long-term health conditions such as diabetes and hemophilia with the goal of becoming an independent biopharmaceuticals giant with global reach. Baxter International is scheduled to spin off its Baxalta division as an independent firm in mid-2015. A news release on the Baxter move, transmitted on Monday, September 29, is summarized here. The decision of the Deerfield-based Baxter International to site its future Baxalta R&D center in the Boston area deals a sharp blow to the jobs picture in greater Chicago. For decades, Lake County’s economy has been driven by health care research and development challenges. While Baxter has reaffirmed its commitment to maintain Baxalta’s corporate headquarters in the Chicago area, this decision may be vulnerable to a future change of corporate control at the future independent firm. In addition, observers note that the research and development jobs maintained by Baxalta will be among the highest-paid and innovative positions maintained by the company. Baxalta’s decision raises serious questions about the adequacy of Illinois’ current commitment to research and development tax credits. While Illinois provides a small 6.5% income tax credit for research and development expenditures, this credit cannot be used by startup businesses that have not yet begun to earn a profit or pay income taxes. Furthermore, under current law the R&D tax credit will expire for tax years ending on January 1, 2016 and thereafter, putting into question the wisdom of starting up a multi-year research and development program in Illinois. The R&D tax credit can be found in Subsection 201(k) of the Illinois Income Tax Act. Monthly revenue summary shows continues slow growth in State revenues. The Commission on Government Forecasting and Accountability (CGFA) published its monthly summary on October 2. The summary, which includes State receipts through September 30, covers the first quarter of the 2015 fiscal year (begun July 1, 2014). The overall picture continues to be one of sluggish revenue growth, with personal income tax receipts and sales tax returns rising in the low single digits. These positive trends were partly offset by declines in smaller revenue streams. Three-month declines were seen, on a year-over-year basis, in the revenue areas of corporate income taxes, public utility taxes, riverboat taxes, and monies from federal sources. A three-month decline in monies from federal sources reflects the federal budget enacted in late 2013, and budget transfers in Washington, D.C. from domestic programs (which often include grants and loans to the 50 states) to defense and anti-terrorism activity. The net three-month decline in monies from federal sources was $229 million as of September 30. Corporate income tax revenues dropped 10.6% or $78 million. Riverboat taxes dropped 20.4%, leading to a net decline in State general funds revenues of $22 million, reflecting the ongoing transition in slot machine gaming activity from floating casinos to so-called video games. 76 million affected by JPMorgan Chase data breach; Jewel/Osco joins list of retailers with possibly compromised credit card information. The Jewel/Osco incident was reported by the Chicago Sun-Times on Tuesday, September 30. In a typical incident, a wide variety of customers use their financial cards to buy goods or services from a financial services provider or retailer. The firm stores information that its customers have shared with it, including credit card account numbers, expiration dates, and cardholder names, in an electronic storage system stored behind security software of the type called a “firewall.” A wide variety of U.S. retailers, starting with Target in late 2013, have reported actual or possible breaches in their firewalls. A breach report does not mean that data has been compromised: it is a legal notification to customers of the possibility that data may have been compromised. In the case of Chicago-based Jewel/Osco, customers who purchased goods using financial cards between June 22 and July 17, or between August 27 and September 21, are urged to monitor their card accounts and contact their banks if they detect suspicious activity. Financial card hacking and database spying is usually dealt with by the federal courts. Section 17-44 of the Criminal Code of 2012 enables Class 4 felony criminal charges (1-3 years in State prison) to be brought against perpetrators of these acts within Illinois. Current license count shows more than 18,000 machines online. Video gaming, originally legalized to raise money for State-funded capital infrastructure projects and to break the presence of “gray” gambling machines, has become one of Illinois’ fastest-growing industries. Illinois Gaming Board numbers show 18,118 active licenses for video gaming machines in August 2014. This is an increase of almost 100% from the 9,345 licensed machines active 12 months earlier in August 2013. The Illinois Gaming Board carefully tracks the flow of money in and out of video gaming machines set up in Illinois taverns, gas stations, veterans’ posts, fraternal organizations, and gaming halls. The video gaming machines are not loose slot machines: they must reveal how tight or loose they are, and since the first Illinois gambling machines came online in September 2012, players have lost just under 8 cents for every dollar they’ve played. The Champaign News-Gazette has the story. University of Illinois leadership asks for proposals to create 8th Illinois medical school. Illinois currently has seven medical schools that grant M.D. degrees. Six are located in the greater Chicago area and one, the SIU School of Medicine, is located in Springfield. The University of Illinois College of Medicine operates in Chicago’s “medical campus” on the Near West Side and is affiliated with UIC, the U of I’s Chicago campus. With the goal of creating a second Downstate-based medical school under the umbrella of the University of Illinois, the university system’s executive staff is looking at its Urbana-Champaign campus area. The university’s leadership is said to have developed a preliminary business plan and obtained preliminary affiliate ties for the proposed medical school. The Chicago Tribune has more about the proposal here. New medical schools are opening in other U.S. states as medicine continues to grow as a section of the overall U.S. economy. In some cases, these medical schools are public-private partnerships that utilize a web of affiliate ties between a university and its private-sector partners. Following this business model enables the new medical school to be constructed without a direct infusion of taxpayer money. An example of this business model is the Western Michigan University medical school established in Kalamazoo, Michigan in 2012. The Urbana-Champaign financial plan is expected to include assurances that, like the Kalamazoo school, the proposed new University of Illinois medical school will not rely on State of Illinois funding. Under one proposed pathway, the new school would leverage the University’s existing expertise in physical engineering to specialize in medical device research and development. Decline in live racing set to continue in 2015. The Illinois Racing Board, which examines and modifies requests for live racing dates from Illinois’ licensed racetracks, approved schedules for 2015 this week that will result in 29 fewer days of live horse racing at the state’s two Chicago-area thoroughbred tracks, Arlington Park and Hawthorne. Hawthorne’s schedule will be cut from 100 days of live racing to 83 days, and Arlington Park’s schedule will be cut from 89 days of live racing to 77 days. The Racing Board’s action was taken on Tuesday, September 30. On non-live-racing days, the betting parlors of both racetracks will both remain fully operational. They will display live video feeds of races at other Illinois thoroughbred tracks, or races at tracks located outside Illinois, and take bets on these races. However, the increasing number of Illinois “dark days” – days in which no thoroughbred racing, or no racing at all, is taking place in the Chicago area or in Illinois generally – signals continued decline in the status of live racing and continued endangerment of the status of Illinois’ remaining jobs in the fields connected with live racing. Racing-related positions include horse trainers, assistant trainers, jockeys, racetrack-related personnel, veterinarians, and farmers and farmhands at the facilities that breed horses and grow their hay and feed. A news story in Crain’s Chicago Business summarizes the status of Illinois live horse racing. Governance of key Springfield tourist asset questioned in General Assembly hearing. The Abraham Lincoln Presidential Library and Museum is the world’s foremost site that celebrates the life and achievements of our 16th President. The library-museum complex offers live-action displays on Lincoln’s fellow Americans as they prepared for and fought the Civil War. 200,000 square feet of storage and exhibit space also offers ample room for permanently protecting papers and memorabilia generated by, or connected to, Lincoln and the generations of Americans connected to him. Under current law, the Lincoln Library is a division of the Illinois Historic Preservation Agency. On Wednesday, October 1, the Library’s private-sector partners told a House hearing that they are concerned by the direction the Agency is taking the Library. While other U.S. repositories of historic treasures (such as Virginia’s Mount Vernon) are physically expanding and/or enjoying generous donations from the public, gifts to the Lincoln Library’s fundraising arm are in decline. The private partners of the Library, organized as a 501(c)(3) entity, assert that the Library’s substantial staff vacancies and the lack of a comprehensive strategic plan for the museum are adding to questions about the Lincoln Library’s future course. A report on the hearing by the Associated Press can be found here. First approval letters go out. 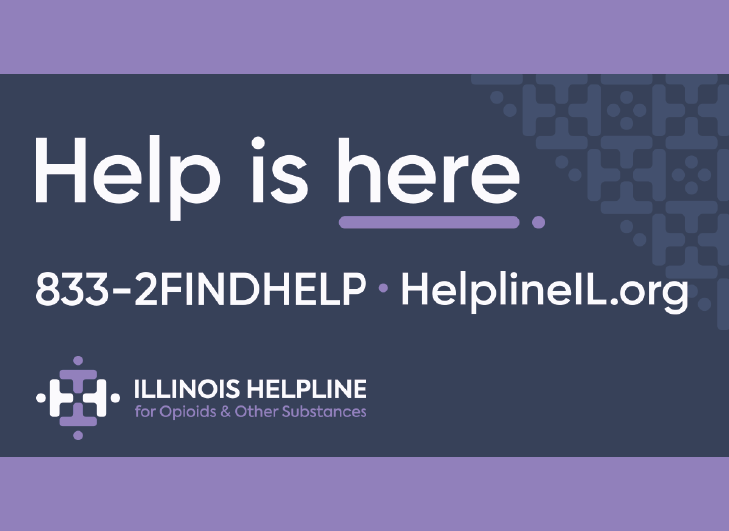 The Illinois Department of Public Health and allied State departments have been moving through the process of asking for applications from potential patients for a medical cannabis card, possession of which will be required to enter a licensed cannabis dispensary. Applications from patients with a last name starting with the letters A through L are being accepted through October 31, 2014, and the first patient approval letters have been mailed. The Joliet Herald-News has the story. Applications from patients with last names starting with the letter M through Z will be accepted starting November 1. Meanwhile, the State has received 369 applications for cultivation center (“grow-op”) and dispensary licenses. 158 applications were for cannabis growing center permits, and 211 applications were for the licenses to be granted to dispensaries – retail centers for the transfer of marijuana to card-carrying patients. 81 licenses, carefully sorted by geographic area, will be awarded. 21 of the licenses will be for cultivation centers, and up to 60 licenses will be awarded to dispensaries. Cultivation center applicants were required to submit nonrefundable fees of $25,000, to which will be added first-year registration fees of $200,000 from successful applicants. Dispensary applicants were asked to submit nonrefundable fees of $5,000; approved applicants will be required to pay first-year registration fees of $30,000. Applicants were required to submit extensive information on key personnel for criminal background checks, and were required to demonstrate how they would comply with the stringent security precautions mandated by State law. The deadline for submitting an application to operate a cultivation center or dispensary closed on Monday, September 22, and no further applications will be accepted. The Compassionate Use of Medical Cannabis Pilot Program Act was enacted in the 2013 spring session. The current status of the grow-op and dispensary licensure process is summarized by the Chicago Tribune here. State looking at tax incentives. Meeting in joint committee, the House Revenue Committee and the House State Government Committee held hearings during the first half of 2014 and asked questions about the current tax incentives distributed by the State to businesses in Illinois. As Illinois’ budget crisis worsens and Illinois continues to lose ground in job creation relative to other states, questions are being asked about whether our state’s existing tax incentive structure is effective and productive at creating economic growth. On Monday, September 29, the Department of Revenue responded with a report compiling totals for selected tax incentives utilized by Illinois business in fiscal year 2012. The largest single tax credit utilized by beneficiaries was the Economic Development for a Growing Economy (EDGE) income tax credit, which resulted in a reduction of income tax payments to the State of $111.8 million in FY12. In order to enjoy these credits, businesses have to remain in compliance with agreements they have made with the Department of Commerce and Economic Opportunity. The Research and Development Credit, which reduced Illinois tax revenues by $58.9 million, and the Film Production Services Credit ($38.9 million), were the second and third largest tax credits charted for FY12. The Department of Revenue report was submitted to the four legislative leaders of the Illinois General Assembly. Day to commemorate buying local; discounts for shoppers. “Shop Illinois Saturday,” set for Saturday, October 4, will commemorate Illinois-originated goods, including farm products, foodstuffs, and handicrafts. Goods grown or made in Illinois are eligible to participate in the Buy Illinois program. Illinoisans are encouraged to make “Buy Illinois” a household habit and to set aside $10 of their weekly grocery budget for the purchase of Illinois-branded food products. 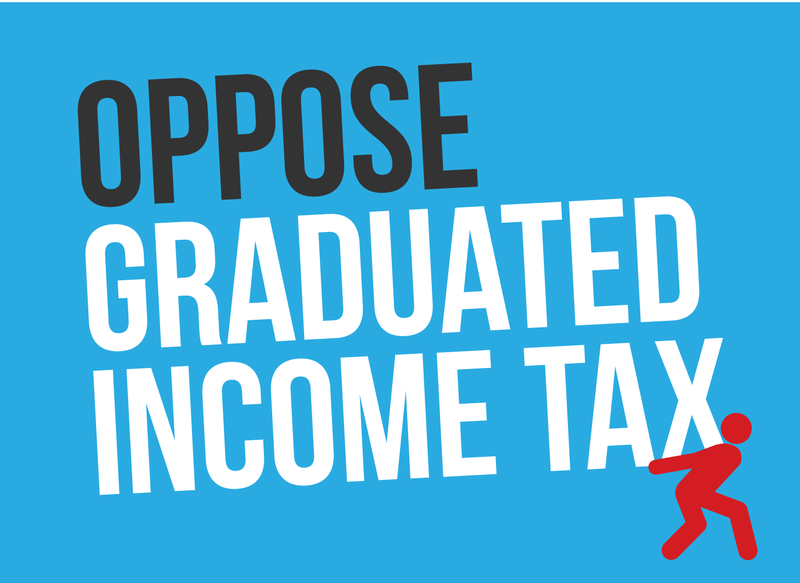 $10 a week from all Illinois households would reinvest $2.4 billion/year in the Illinois economy, leading to greater recirculation of Illinois-based money in Illinois and the net creation of new jobs and higher pay for those already employed or self-employed. Selected small businesses in six Illinois communities – Alton, Canton, Carbondale, Genoa, Pontiac, and Springfield – will offer discounts to mark the day. The Alton Telegraph describes preparations in Alton for the shopping day. Chicago air traffic control badly snarled by sabotage. The incident, which took place on Friday, September 26, led to thousands of flight cancellations centering on Illinois and rippling throughout the U.S. Midwestern states. An arson fire damaged or compromised key circuitry in a Federal Aviation Administration (FAA) electronic center that automatically collects radar signals from high-altitude flight paths. The alleged arsonist was arrested. As of Monday, September 29, the FAA was anticipating a time period of at least two weeks (until October 13) to rebuild the radar intercommunications system. While the primary jurisdictions for apparent criminal offenses like this one are the federal courts, the Illinois criminal code also has laws in place to punish electronic air sabotage. Article 29D of the Criminal Code of 2012 defines as “terrorism” any act to disable or destroy the usefulness of a communication system, or to disable or destroy a computer network used by the federal government. If prosecuted in an Illinois court, this offense is an enhanced Class X felony. If no deaths are caused by the incident of terrorism, the offender shall be sentenced to serve 20 years to life in State prison. For identical acts that cause one or more deaths, the offender faces a mandatory sentence of life in prison. Get the Week in Review emailed directly to your inbox! Sign up today to get a first-hand look at the continuing legislative and fiscal challenges facing policymakers in Springfield. 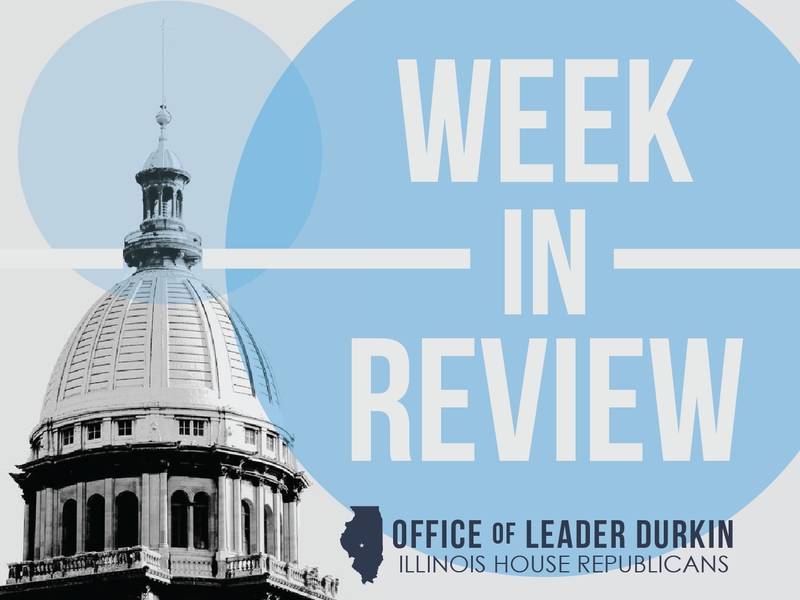 As the General Assembly’s inquiry into the Neighborhood Recovery Initiative (NRI) scandal moves toward new revelations, the Week in Review is more essential than ever as a way to follow major Illinois issues, questions, and trends.